SONGWON Industrial Co., Ltd. (www.songwon.com) proudly announces that it has become one of the first chemical companies in the world to package its products in 20kg PE-bags made with 50% recycled PE. SONGWON has collaborated with the German innovative packaging specialists, RPC bpi nordfolien, to develop PE-bags for packaging 20kg of product using recycled materials originating from different waste streams, including industrial printed bags that have already been used. All of the solvents that are required for de-inking are also recycled continuously in a closed loop process. Sustainability is taken seriously at SONGWON and the organization embraces its responsibility to create new, more sustainable solutions in line with the United Nations 17 Sustainability Goals (SDGs). While continually striving to conserve resources, SONGWON focuses its efforts on optimizing processes and developing new opportunities to leverage combined capabilities by cooperating with other leading companies. “With RPC bpi nordfolien, we have found an innovative partner who can support us to live SONGWON’s Vision: ‘Sound and sustainable growth for all our stakeholders in harmony with the interests of our planet and its people’,” says Maurizio Butti, Chief Executive Officer at SONGWON. 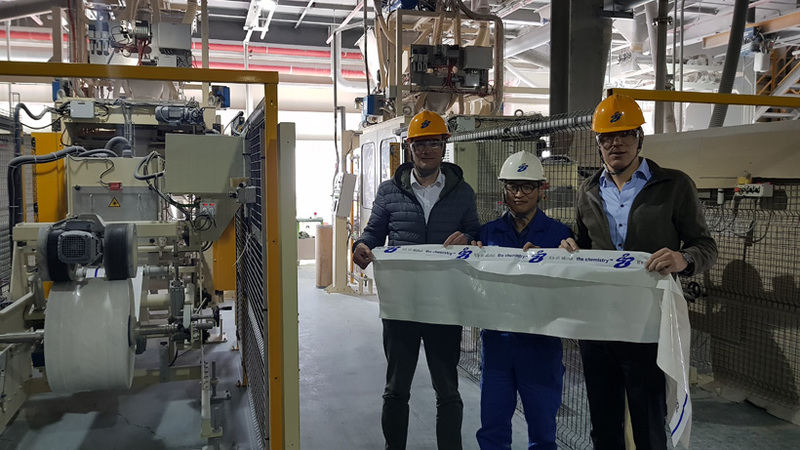 During the past 12 months, the recycled 20kg bags were successfully trialed on various customers to make sure that they met SONGWON’s quality standards and those of the customers for strength, color stability and handling. SONGWON will be continuing the smooth transition to the new recyclable packaging over the next few months. “SONGWON is the very first chemical company to use packaging film with such high recycled material content for their PE-bags. We are pleased to share our expertise with them and to help extend the reach of such technology, in order to contribute to preserving the environment for all of us,” says Christian Knappik, Key Account Manager / Business Unit Chemical Industry at RPC bpi nordfolien. Source: SONGWON Industrial Co., Ltd.